Carbon Upcycling Technologies (CUT) is transforming waste carbon into the resource of the future. CUT utilizes CO2 emissions to cultivate nanoparticles that enhance materials like concrete, plastics, and batteries. The CUT team prides itself on delivering products that make the building blocks of modern life longer lasting and more effective. CUT recognizes the importance of turning carbon, one of the world’s greatest problems, into our best solution. By creating a versatile portfolio of nanoparticles that add value to businesses across numerous industries, CUT is poised to deliver a carbon negative future at scale. The company has received support from a strong cohort of commercial, government and academic partners including Canadian National Research Council, Natural Resources Canada, Alberta Innovates, and Shell. Carbon Upcycling Technologies (CUT) uses an IP-protected process to react waste CO2 with solid feedstock (e.g. graphite, petcoke, fly ash) and create stable, solid nanoparticles. The resulting nanoparticles can then be added to a wide variety of materials in order to make the materials stronger or more efficient. To date, CUT has successfully completed over 12 different technical validations of its products’ performance. The nanoparticles show beneficial functional performance in: concrete, plastics, ceramic & epoxy coatings, adhesives, 3D printing filaments, pharmaceutical drug delivery, lubrication, energy storage, and solar cell applications. Plus, the CO2 captured in CUT’s process is stable up to at least 180 degrees Celsius, almost two times the boiling point of water. 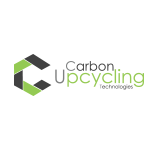 Carbon Upcycling Technologies converts waste CO2 emissions from a liability to an asset. Since starting in 2014 as one of the 24 finalists out of 340 in the CCEMC Grand Challenge, CUT has scaled production of its nanoparticles from 0.5 grams per week to over 500 kg per week, and successfully begun generating commercial revenue with the sale of the AC-100 concrete coating in three US states. With the latest milestone, CUT became the youngest carbon utilization company to generate revenue, after only 2.5 years of operations, and the nanoparticles have an enormous potential to scale in applications spanning much wider than corrosion protection. Apoorv has served as the President of CUT since 2014 and leads the validation, development, scale up, and commercialization of the firm’s technology. Under Apoorv’s leadership, CUT’s global ecosystem of academic and industry partners has grown to over 50 organizations, and in 2017, CUT became the youngest carbon utilization company to generate revenue after only two and a half years. Apoorv is also a member of the Energy Futures Lab, a cohort of Albertans drawn together as a think-tank for policy trajectories which help Alberta make a transition to an low-carbon, sustainable energy future. Apoorv was included in Alberta Oil’s “35 Under 35 list” in July 2016, and recognized as a Clean50 Emerging Leader in September 2016. Most recently, Apoorv was initiated into the Your Energy Future Cohort (March 2018), a pan-Canadian youth leadership program. He has represented CUT at various events including Watervent 2014 & 2016, Rice Alliance CleanTech Forum 2015, Americana 2015, Globe 2016 & 2018, DSN Network (Warsaw, Poland) 2015, and multiple CleanTech Accelerators in Calgary, NYC, SFO, Denver, and Paris. He holds a B Sc. In Chemical Engineering from Georgia Institute of Technology (2010).